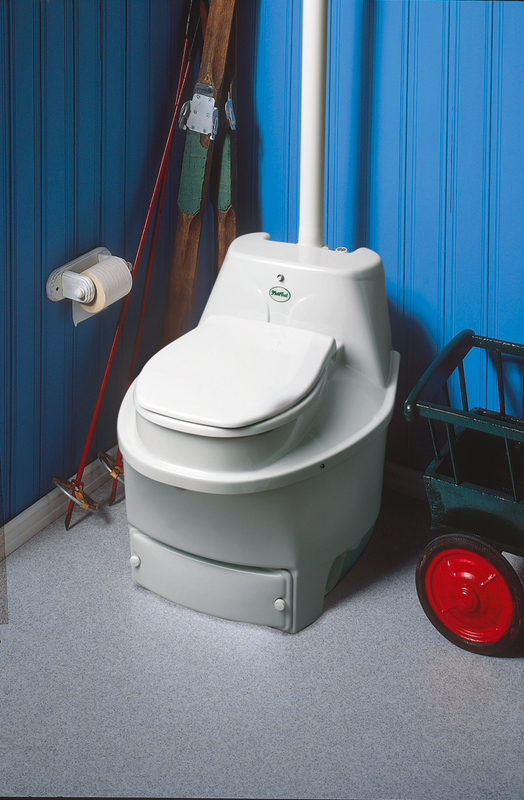 Manufactured in Sweden since 1972, the MullToa Waterless Composting Toilets are world leaders in composting toilet technology. Continual advancements over the decades ensures the Mulltoa toilets are the best in the world. With neither drain nor water to connect, the MullToa 65, MullToa 55 and MullToa 25 are absolutely the most advanced Waterless Composting Toilets. With many progressive European features, these fully automatic models will provide years of trouble-free service with very simple maintenance. Designed for home, cottage, cabin, boathouse or bunkie, the MullToa 65 and MullToa 55 both feature LED maintenance sensors. The MullToa 65 is the only composting toilet to carry the Svan Ecolabel (Nordic EcoLabel). This certification is the most prestigious approval in Scandinavia, the world's largest market for composting toilets and is the most thorough testing for closed toilet systems. 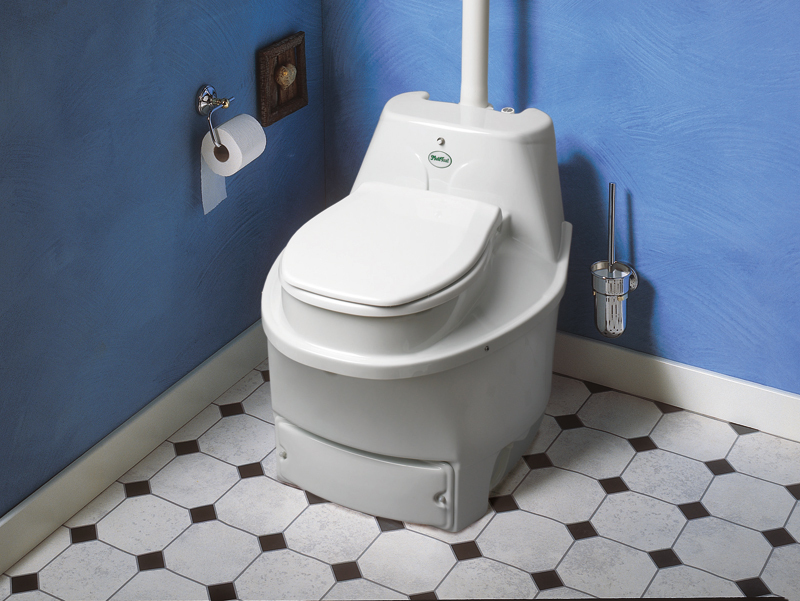 The closed-system Mulltoa's are fully automatic electric toilets that anticipate your every move! Sitting on the toilet seat opens the trap doors; closing the toilet seat lid activates the stainless steel mixing mechanism that efficiently breaks down paper and distributes moisture into the compost material in the upper chamber. Material in the upper chamber is finished in the lower chamber and eventually emptied. The MullToa 65 and MullToa 55 both feature LED maintenance indicators to let you know when it is time to empty the lower chamber. The non-composted portion and the dry, composted portion are kept separate. A fan circulates warm air under and around the compost for fast decomposition and evaporation of liquid. A float switch operates and additional heater (MullToa 65 & 55) if excess liquid is detected. 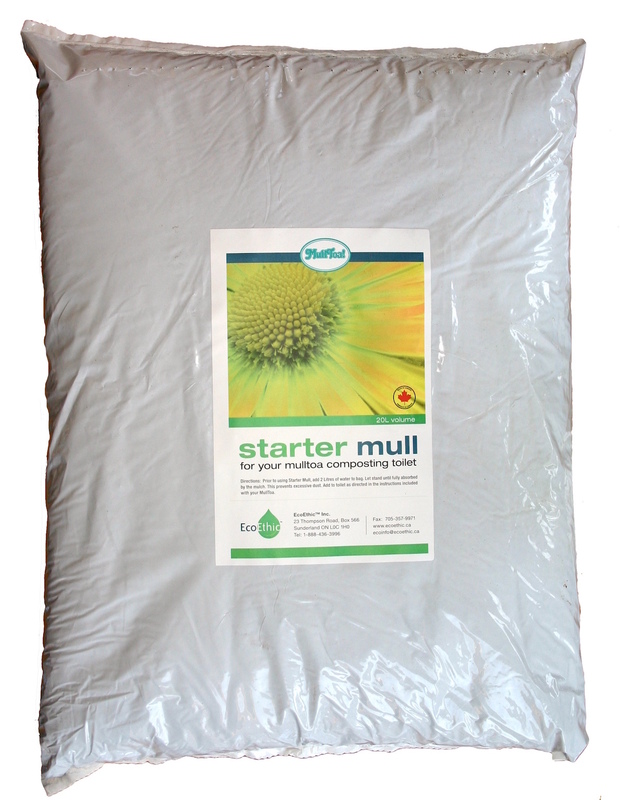 Once a week or as needed, mulch is added through the toilet seat opening. Using efficient Swedish technology electrical consumption is very low with an adjustable thermostat, which is set according to the number of people using the toilet. When you are away for more than two days, just turn your MullToa off! • if used seasonally, empty the humus tray only once a year!! Full time use = year round, Part time use = up to five consecutive days. • A unique mix of media necessary for proper composting in the Mulltoa Waterless Composting Toilets. shop online Copyright 2017 EcoEthic Inc.